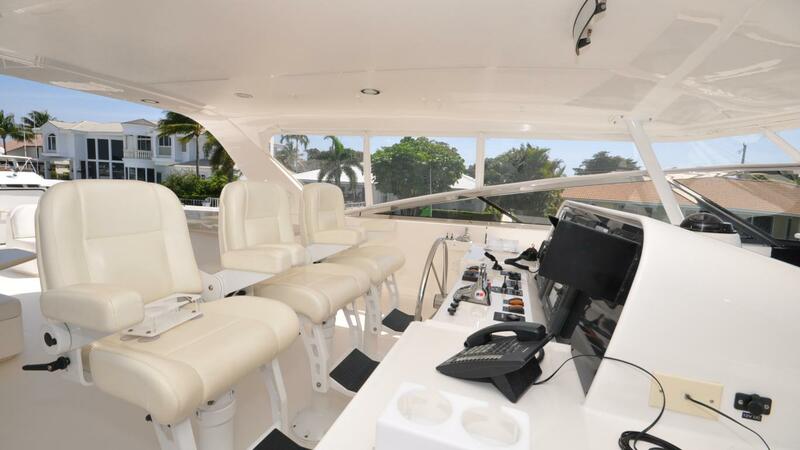 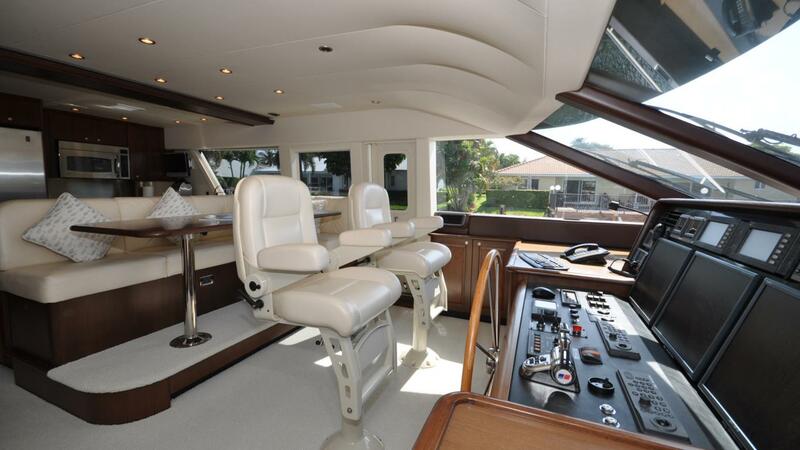 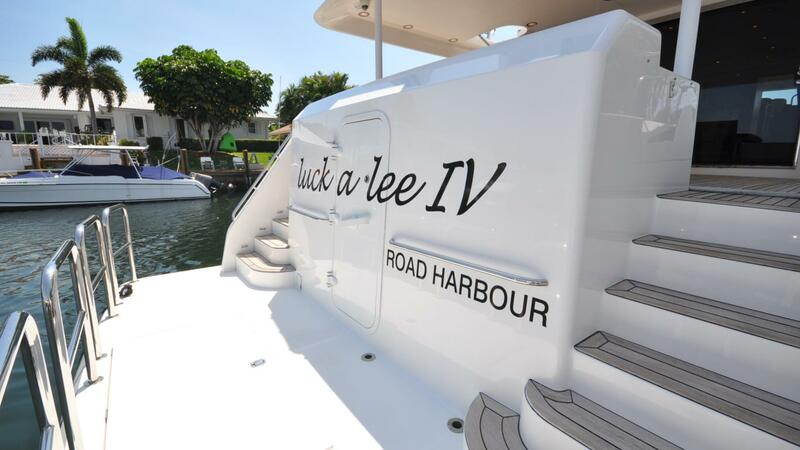 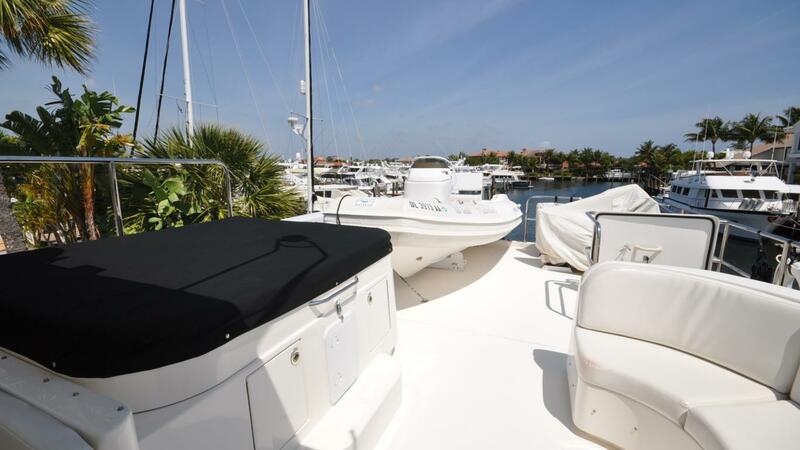 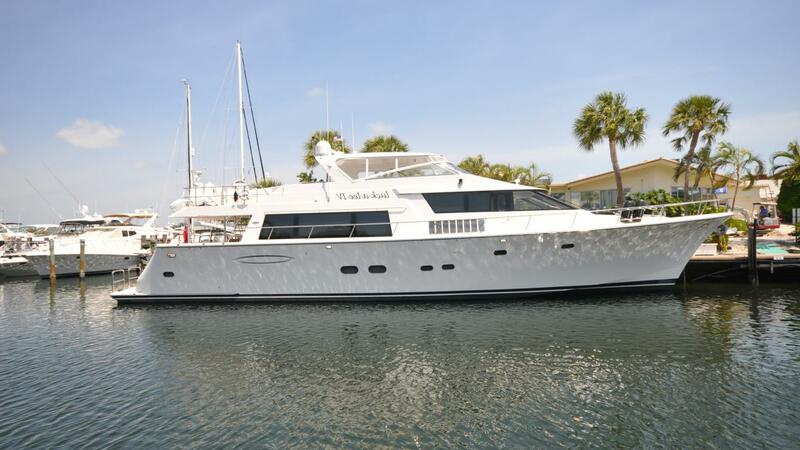 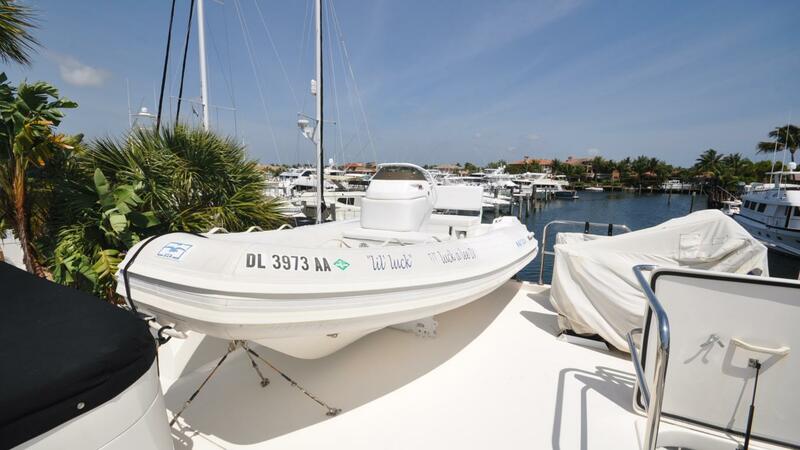 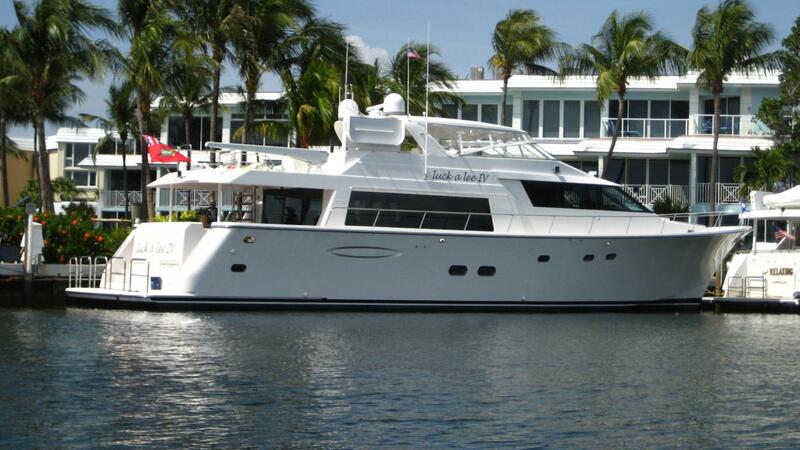 2007 85' Pacific Mariner, LUCK-A-LEE IV only been lightly used by her original owner with less than 1500 hours on her twin MTU 12V-2000's. 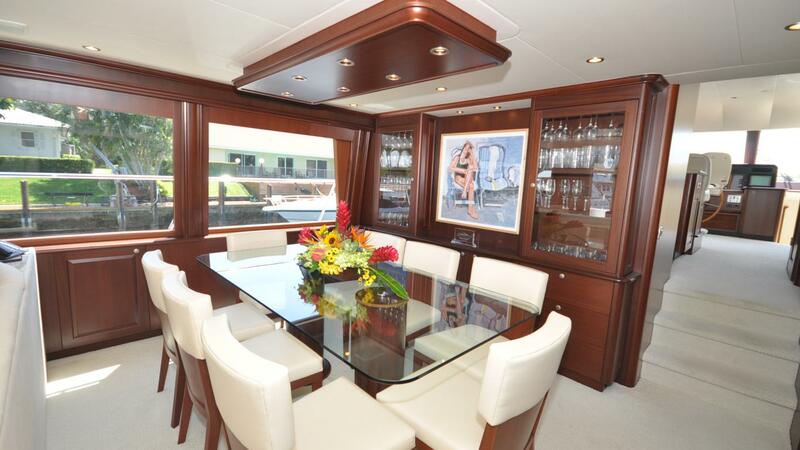 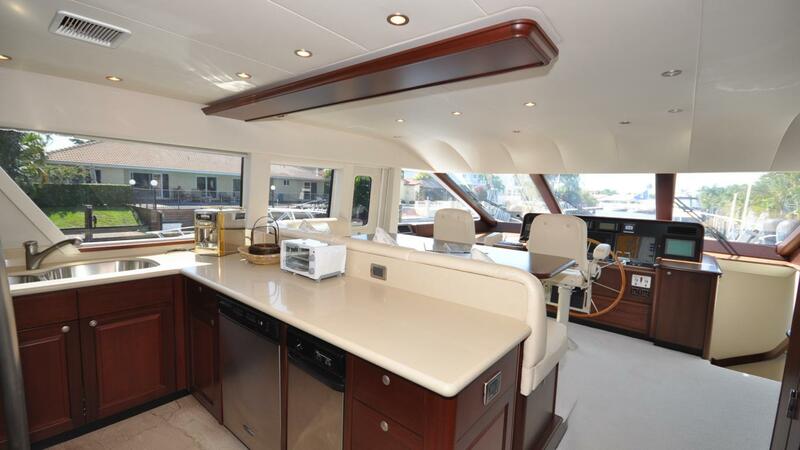 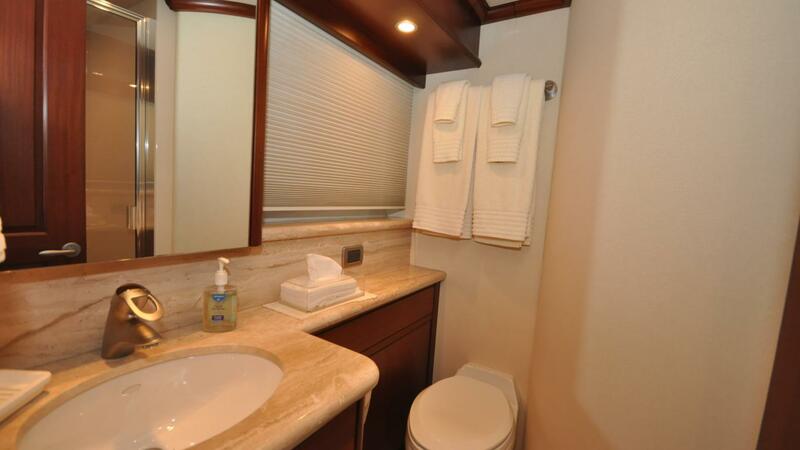 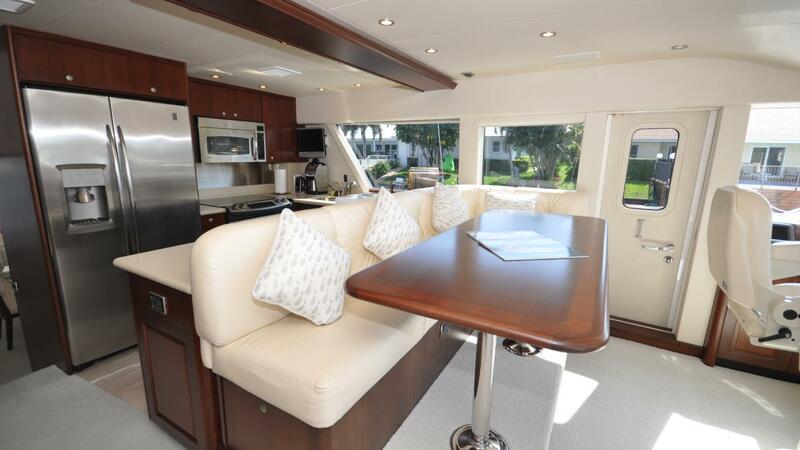 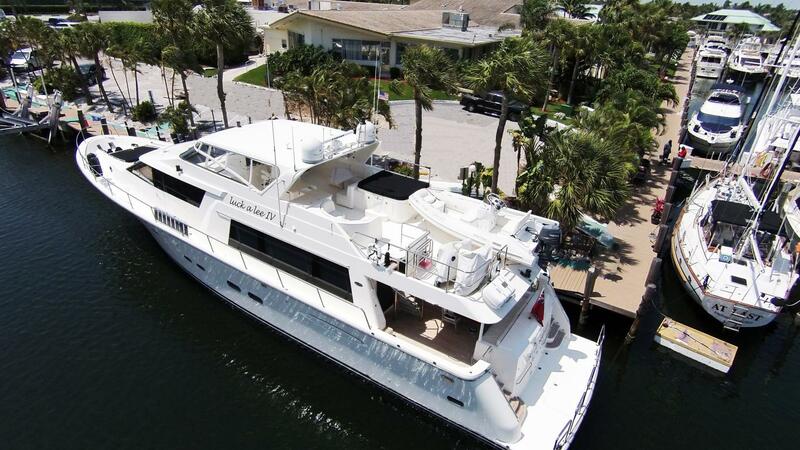 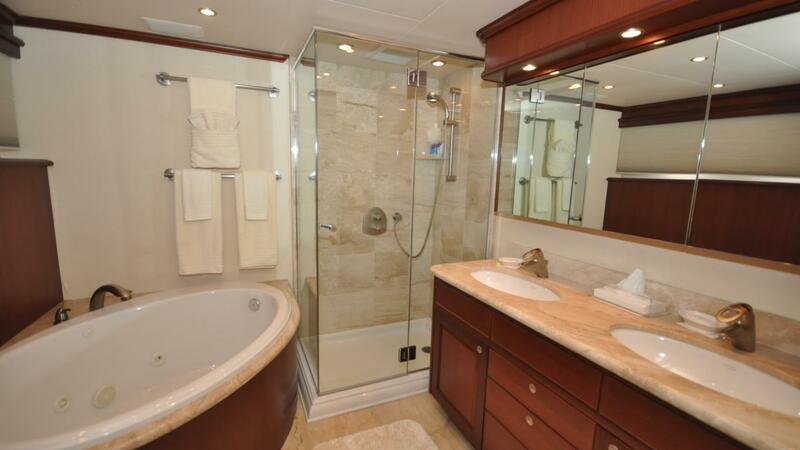 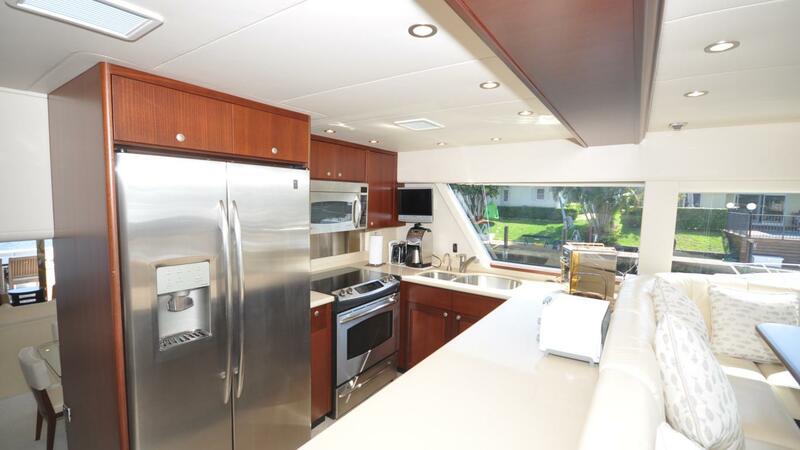 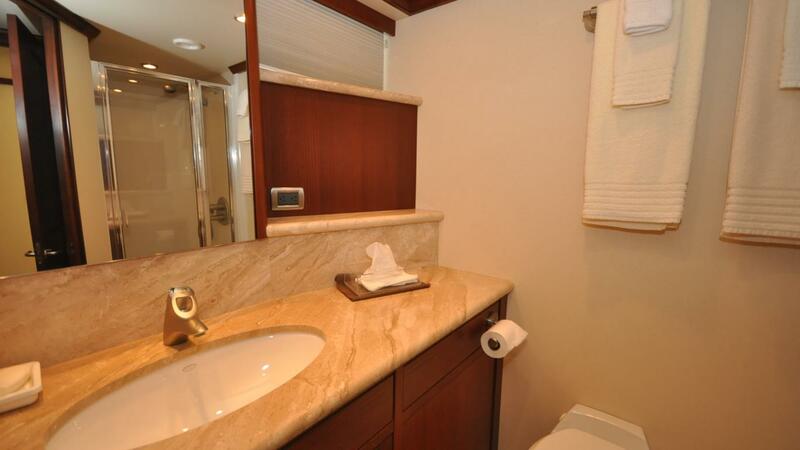 She features a custom (4) stateroom interior with satin cherry joinery throughout and a comfortable main salon / dining salon on the main deck along with open galley with upgraded appliances and granite countertops. 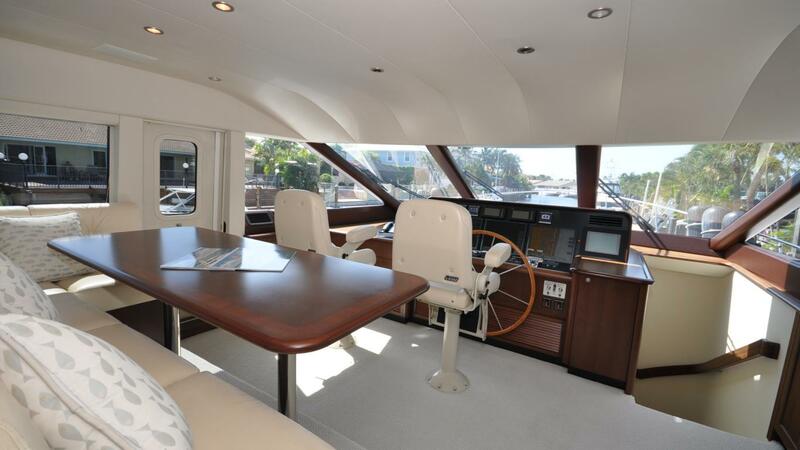 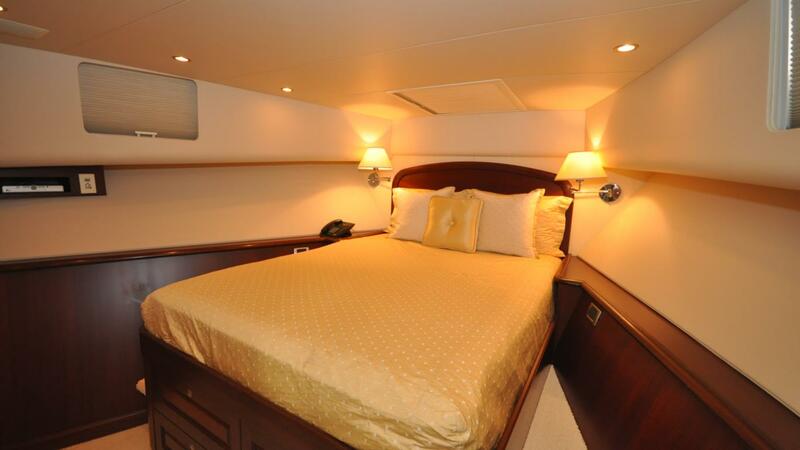 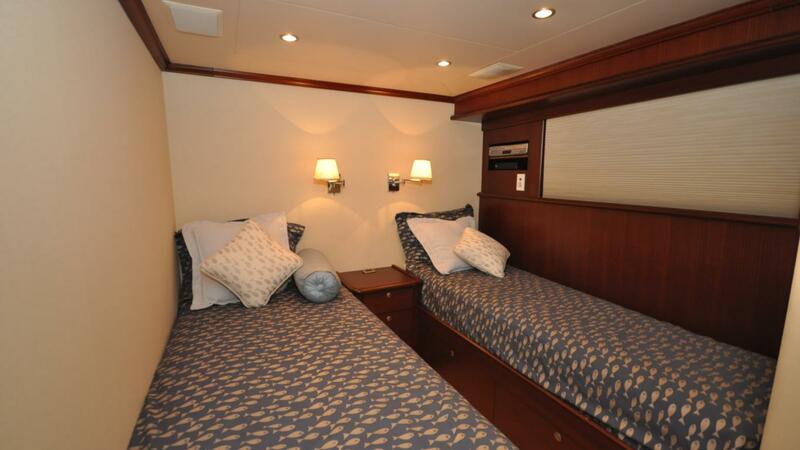 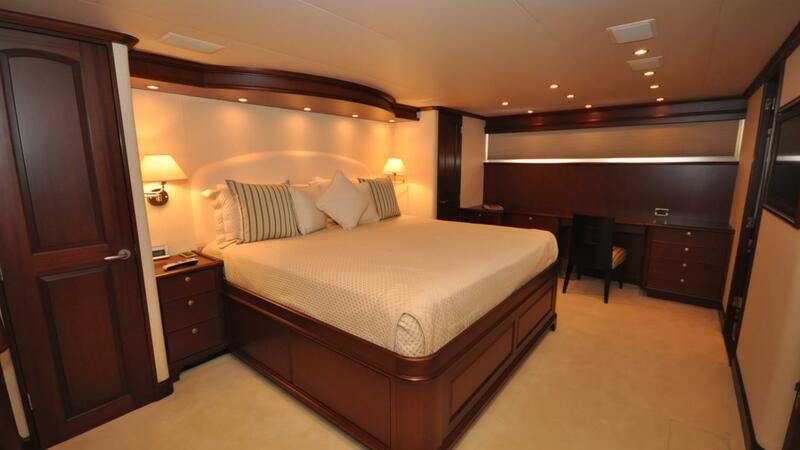 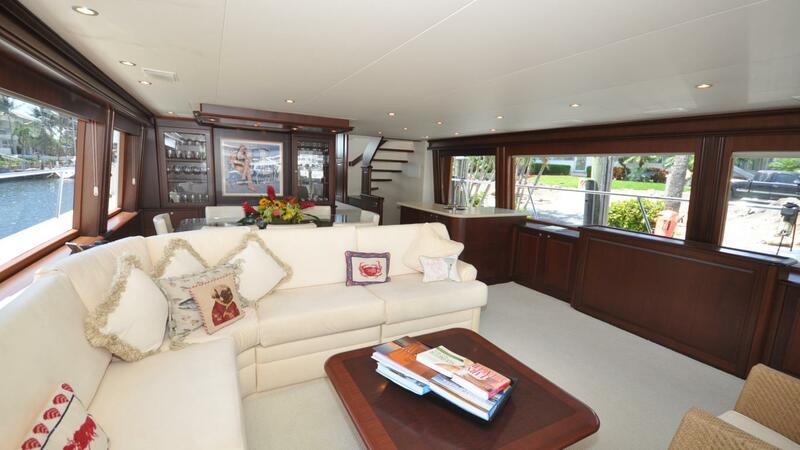 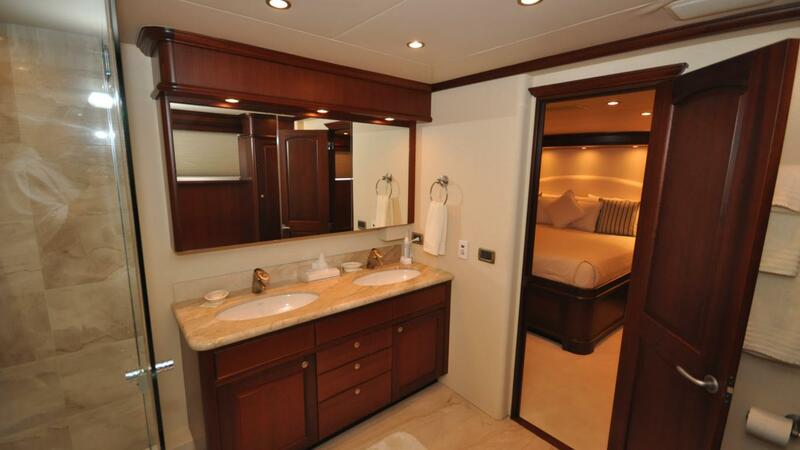 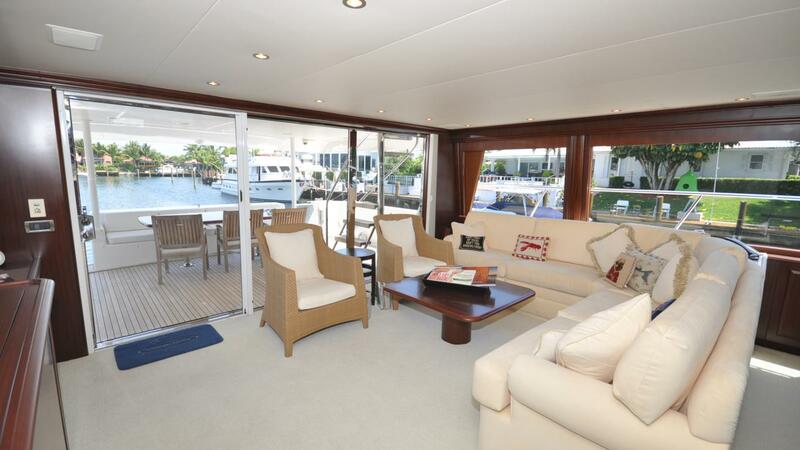 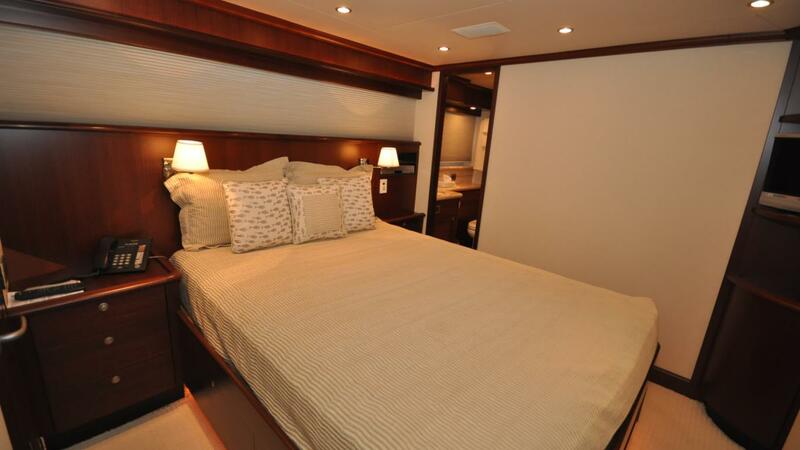 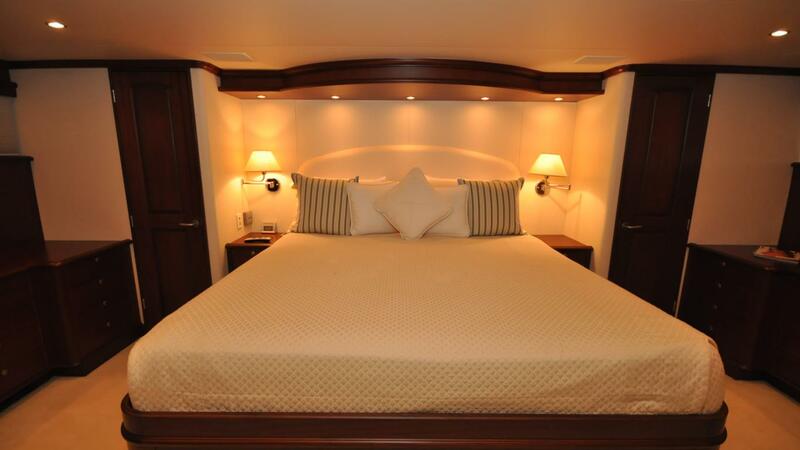 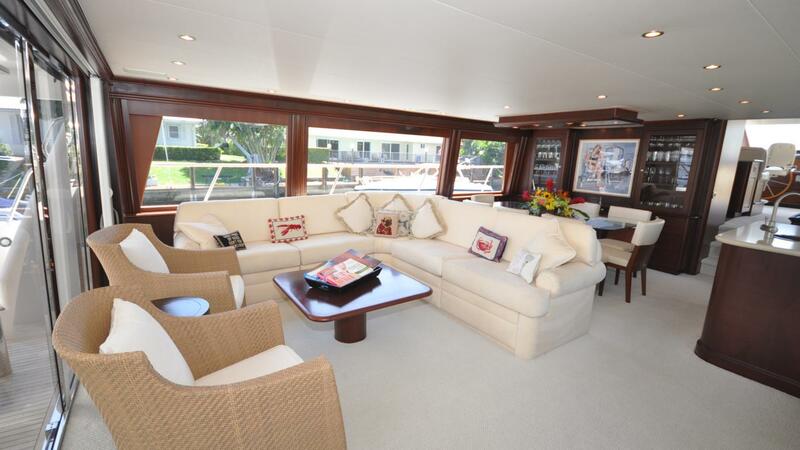 Private king sized master below midship with two VIP queen staterooms and a twin forward and the crew quarters are located aft. 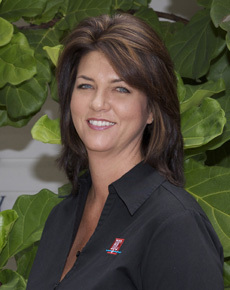 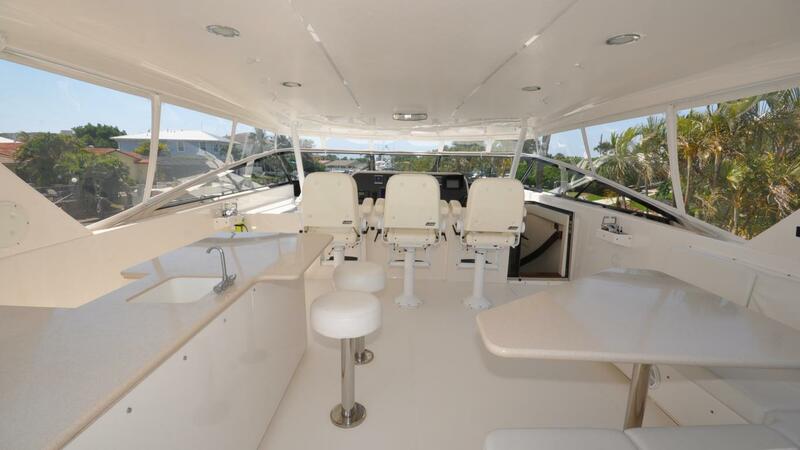 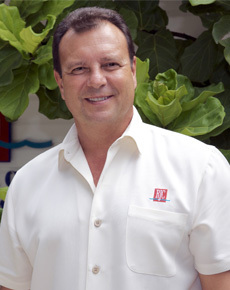 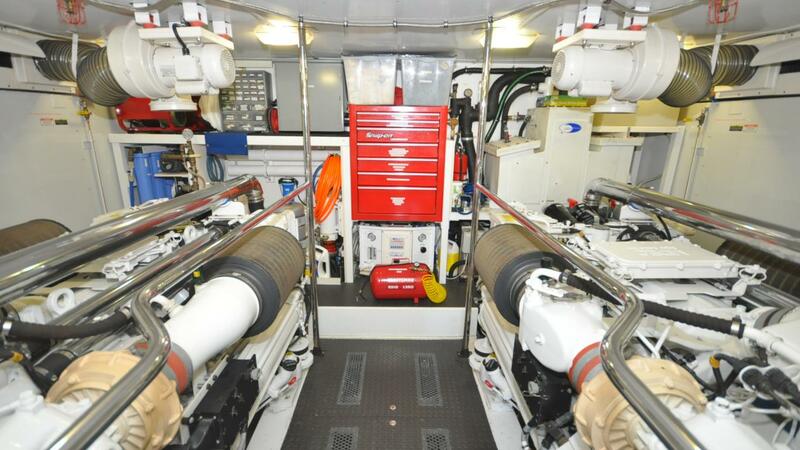 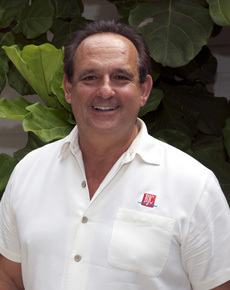 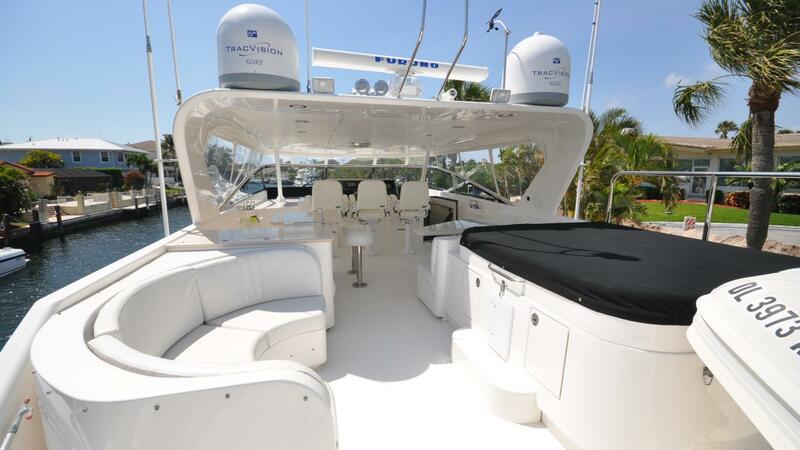 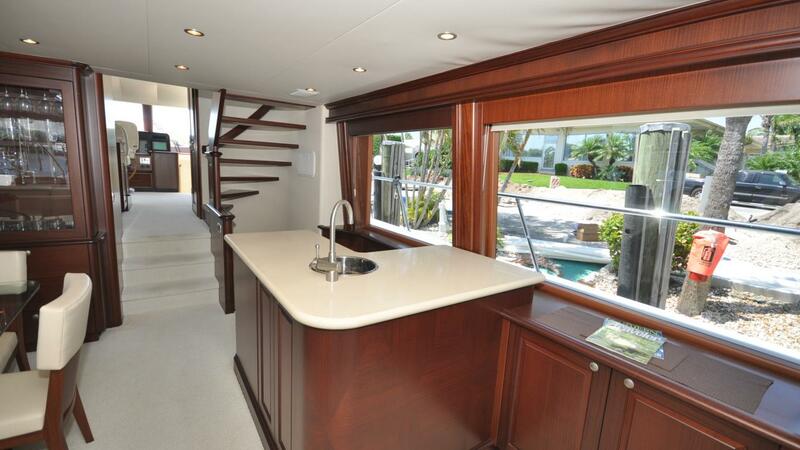 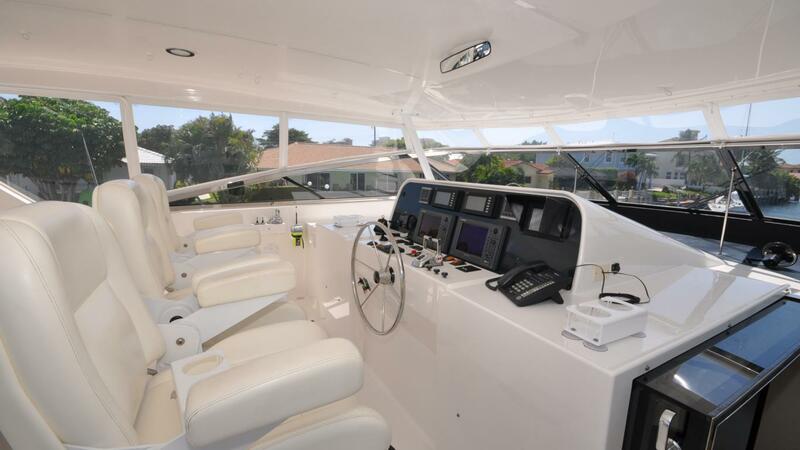 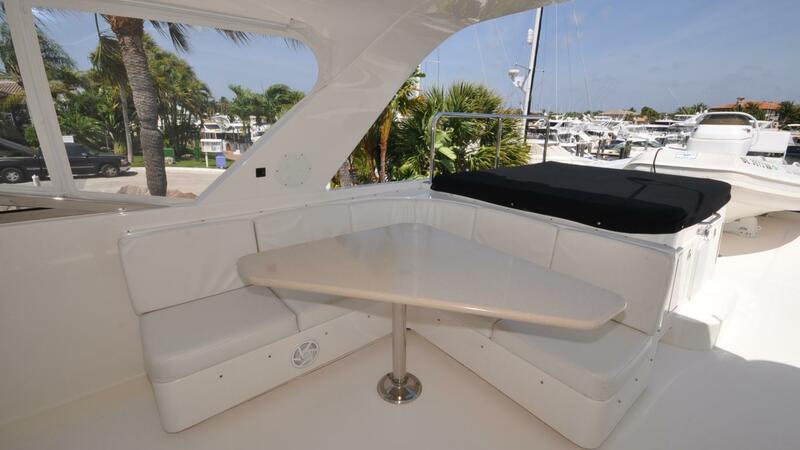 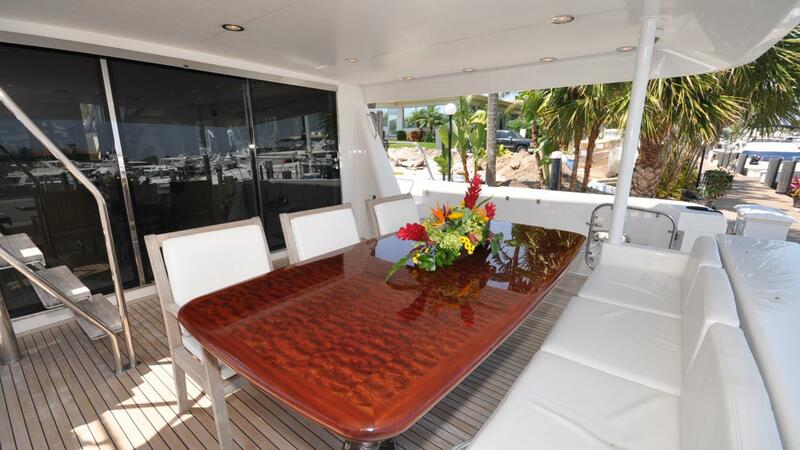 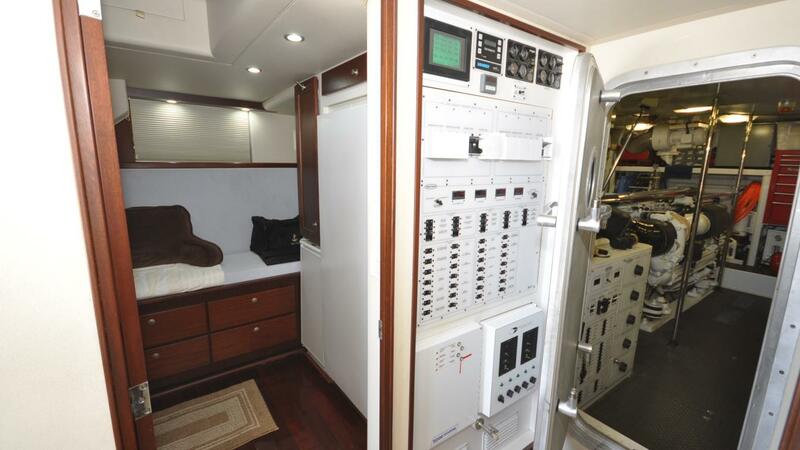 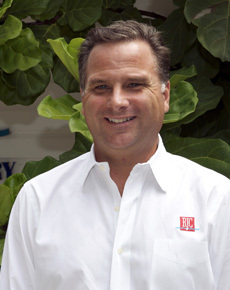 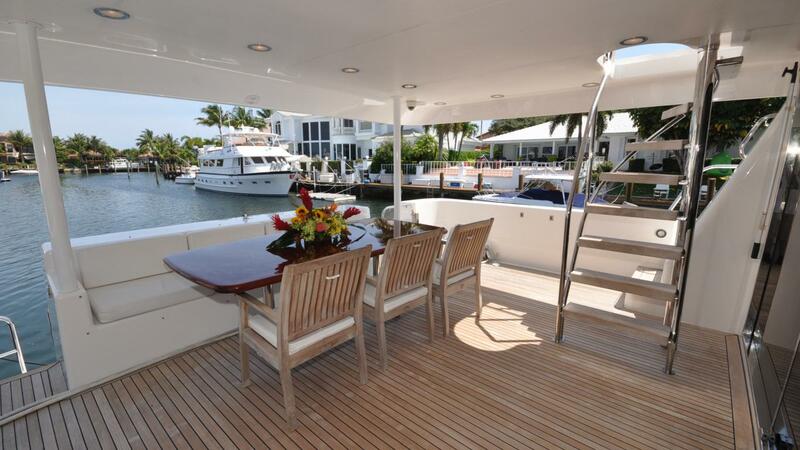 Additional options include stabilizers, twin generators, watermaker, jacuzzi and tender on the flybridge. 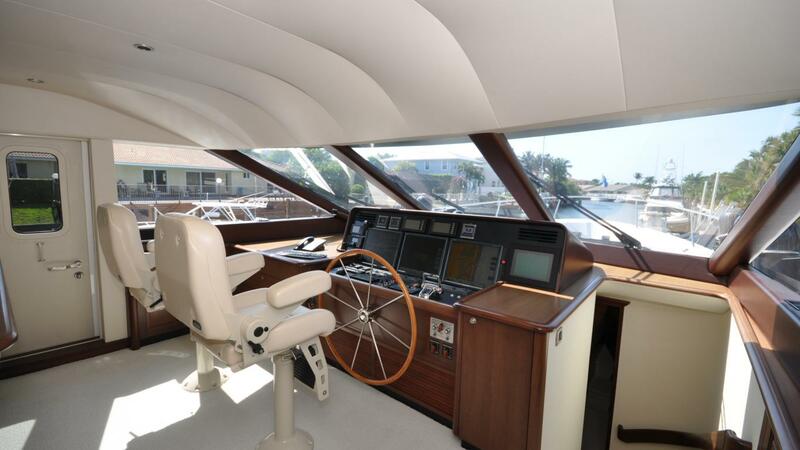 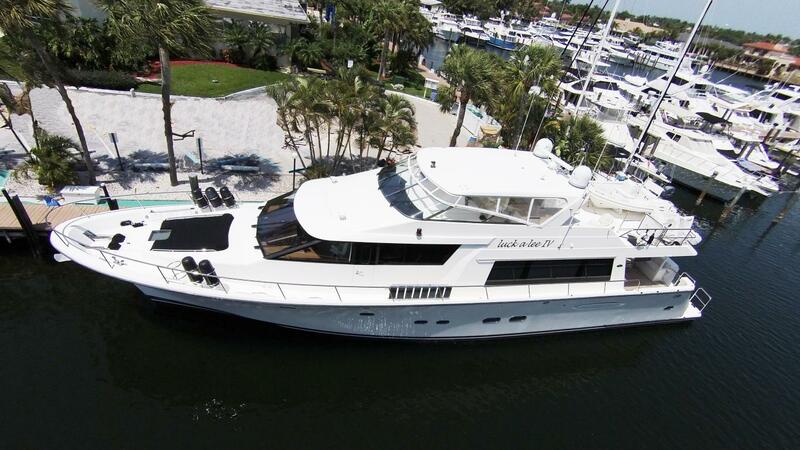 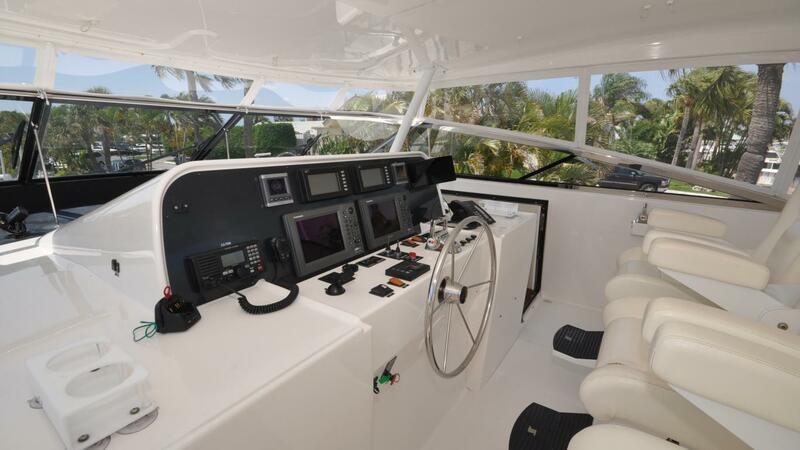 The William Garden designed hull cruises comfortably at 20+ knots with 28 knot maximum speed and the 2400 gallons of fuel provide for good range.